Hazapour makes his first appearance since finishing fifth in the Investec Derby in the ICON Meld Stakes at Leopardstown. 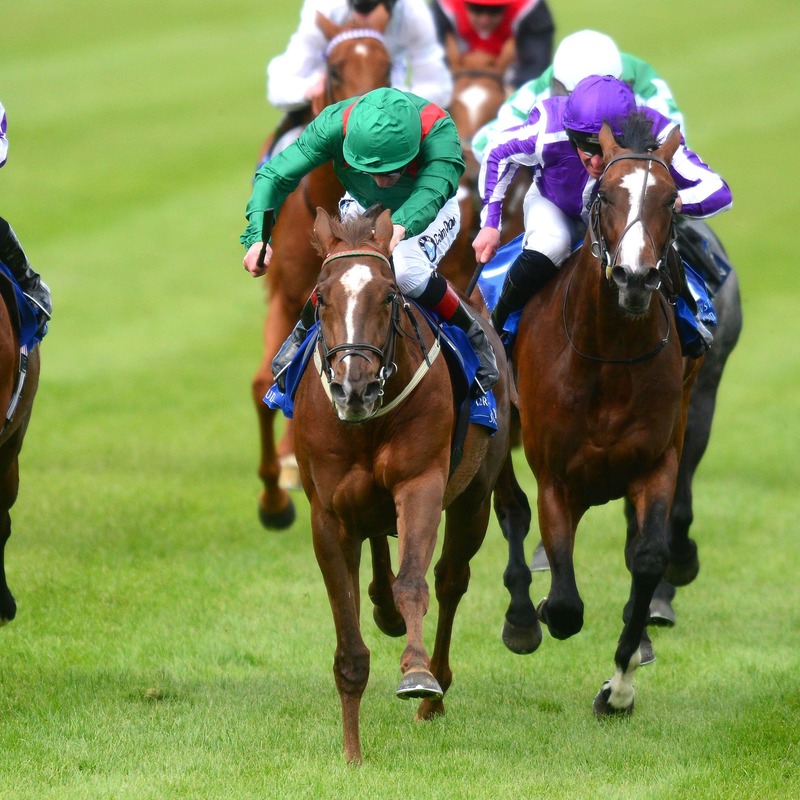 Dermot Weld’s colt emerged as a serious contender for the premier Classic after winning the Derrinstown Stud Derby Trial at Leopardstown in May. The son of Shamardal was far from disgraced at Epsom, finishing seven lengths behind the winner Masar in the hands of Frankie Dettori, and the popular Italian travels to Dublin to keep the partnership intact in this nine-furlong Group Three. “Hazapour is in very good order and I just hope there is sufficient ease for him in the ground,” said Weld. Hazapour is taken on by just four rivals on Thursday evening, but his task is far from straightforward. The highest-rated runner is Aidan O’Brien’s Deauville, who has his sights lowered after finishing down the field in both the Lockinge Stakes at Newbury and the Queen Anne at Royal Ascot. O’Brien also saddles three-year-old filly Curly, who has far more on her plate than when winning a Gowran maiden last month. The select field is completed by the Ger Lyons-trained veteran Brendan Brackan and Turret Rocks from Jim Bolger’s yard, who finished last of six in the Pretty Polly Stakes last time out.